Do landlords ask too many questions? In a public statement entitled “Privacy Commissioner launches investigation into over-collection of personal information by landlords”, B.C.’s Acting Information and Privacy Commissioner announced that he is reviewing tenant screening practices of landlords across the province. The Commissioner says that the move is based on an uptick in complaints from tenants who do not want to provide financial and other documentation when applying for rental housing. According to the Commissioner, low vacancy rates have created an imbalance of power, making renters reluctant to assert their privacy rights. He suggests that rental applicants do not file privacy complaints out of fear that they may be passed over for more cooperative applicants. The Commissioner warns that, while landlords have the right to ask for identity or employment income, they must limit the collection of personal information during tenant screening. However, there is a fuzzy line when it comes to deciding what information is needed to prove that a tenant is qualified versus what information is too personal. The Privacy Commission has issued a 15-page guidebook for landlords to use when interpreting privacy laws. For example, the guidelines suggest that credit checks should not be “routinely required” and are appropriate only where the landlord has reason to suspect the applicant cannot pay the rent. However, a landlord has no way to know if a tenant can or will pay the rent without checking credit to confirm financial responsibility. Income is only one side of the budget calculation. Applicants may not be forthcoming about debt burden that could hamper the ability to pay rent. Banks don’t approve mortgages or issue credit cards without proof of financial responsibility. Likewise, landlords should not be expected to hand over the keys to a property worth hundreds of thousands of dollars to any applicant without similar assurances. The guidelines appear to rely on an important — and erroneous — assumption: that rental applicants always tell the truth. Because credit reports are compiled by an independent third party, a tenant credit check is, literally, the only way for a landlord to know for sure that any applicant is providing reliable information. The guidelines make clear that landlords need to have a tenant’s consent to run a tenant background check. That consent generally is provided in the rental application — one more reason why it is crucial to demand a completed and signed rental application from each proposed adult occupant. The rental application can include a number of questions, but the Commission warns landlords not to get too personal. 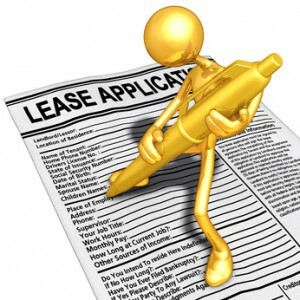 Only information that is reasonably related to tenant qualifications should be contained in the application. Specifically, the Commission suggests that landlords can ask for ID and pay stubs, but not SINs or bank statements. Changes to the tenant screening rules could do more than shift the balance of power towards tenants. It could mean that more landlords will fall prey to unscrupulous tenants who fake their credentials, move in, and then live rent-free for months while the landlord waits for an eviction order — a record that is not readily available to subsequent landlords for fear that it might violate the tenant’s privacy. The privacy study is ongoing, and the Commissioner has promised to share the results publicly.